Why Is Excessive Barking A Problem? How Can A Bark Collar Prove Helpful? Bark collars prove useful if you want to correct your dog away from nuisance barking. However, you should also consider that using any bark collar has training benefits and advantages. Whether you have a hunting dog or a family friend you want to feel safe letting your kids play with, you want your dog to have self-control, obedience, and a peaceful disposition. 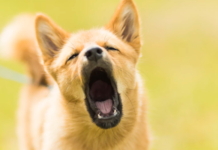 If you’ve spent time around any dog that barks excessively for no apparent reason, then you already know how exhausting that experience can be. That’s not just for you, but also for the dog. Any dog expending lots of energy barking is getting far more excited than he should be, wasting energy and even spiking his heart rate. Dogs like these can get exhausted earlier and more often than dogs who are quiet, calm, and laid back. Dogs which bark excessively are usually harder to train or hunt with. Calm your pup down with some Melatonin. 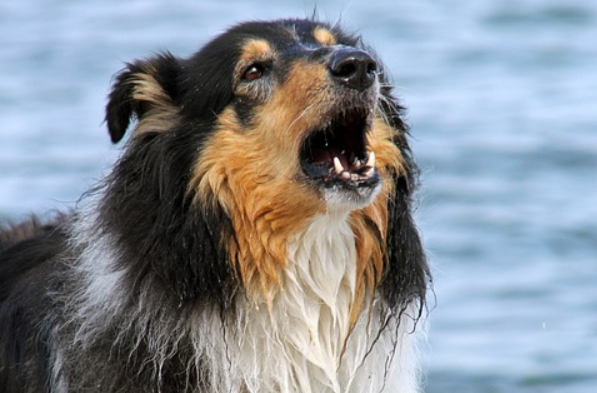 Excessive barking is sometimes a symptom of anxiety, and yet it paradoxically can also be a source of anxiety. 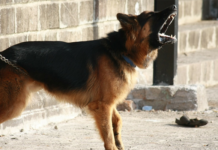 When any dog gets to bark this much, it can stimulate jumping and pacing. Anxious dogs aren’t good for hunting, nor are they fun to live with. The anxiety of an excessively barking dog can be contagious. Other dogs you might be hunting with will pick up on it, and it can wear down on your family in the home. Other pets might jump in on the act, quickly wrecking the peace and quiet of your home. You can have a whole hunt ruined by one barking dog, and if you’re in your neighborhood outside, your barking dog might set off every canine up and down the street you live on. In short, bark collars are actual training collars. You can use one to train your dog not to bark, even if you’re not around. Training focuses on self-control, and a bark collar helps your dog learn how to stay in control of himself in all circumstances. 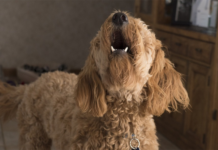 Your dog can start learning that barking when it’s not needed is going to result in a correction, just the same as when you do training for other various commands. The primary difference here is that your dog is in control, so he’s actually learning self-control this time. 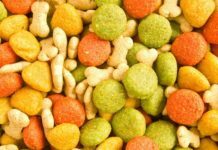 It’s a continuing learning tool that makes your dog more trainable. As such, using a bark collar should build up your dog’s self-confidence. A lot of dogs, in particular, rescue dogs, might come to you with a number of personal problems that you need to fix. Sometimes, you might not know anything about the previous owner or living situation a dog was in. Some of them come from abusive homes, and a lot even wind up as strays, fighting for survival in the streets or wilderness, which makes aggression towards their fellow dogs a problem. A shock collar lets you train your dog so he doesn’t bark at other canines in contact situations like going out walking or in a dog park. This prevents escalation and potential dogfights that can put your dog and even yourself and other people at risk. It doesn’t take many dogs walks before you experience yourself getting tugged around by your dog when he gets curious and excited about something. Unless you’re looking for an upper body workout in this tug of war, this isn’t how you want your dog walks to go. 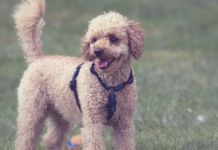 A low-frequency shock collar can tell your dog over time that this behavior is unacceptable. Make your dog accept the fact that you’re walking him instead of vice versa. Even if you can handle the tugging, you’ll prevent your dog from scaring those you pass by. A well-behaved dog on a walk can help you make friends and start conversations. Some critics of bark collars complain about the very concept of shocking dogs with electricity. However, the engineering and design of e-collars have improved significantly in the last 10 years. The range of potential electrical shocks and distance are now greater. There are also tone- and vibrating-only modes on some models. Some training collars don’t even use electricity to shock or train a dog. Choose a collar that has a good range of various stimulation levels so that you can find the best settings for your dog. You want to strike a balance between getting your dog to respect the training yet not prove inhumane or induce fear. Many of these collars are intended just for using a few hours a month for training, although some owners do leave them on their dogs all day so neighbors aren’t bothered by barking while they’re away. Modern models making remote collars do usually incorporate safety devices which will stop corrections after just a few seconds to avoid dog abuse. The right training collar can be a lot cheaper than putting up an electric fence or hiring a professional dog trainer. Modern market models typically range from $30 to $300 or more. The price varies on features like the inclusion of a remote control, how many collars are included, the adjustability of shock or warning levels, and the range of distances, which is typically 90 to 1200 feet. Citronella bark collars are the first kind. If your dog starts barking, a spray of citronella-scented liquid is sent out, which most breeds find unpleasant enough to stop barking. The second kind is a static shock dog collar which has a pair of metal prongs touching the dog’s neck. Shocks start small and ramp up in intensity until barking stops. You can test these shocks on your own hand to know how much your dog is getting. Ultrasonic bark collars are the third kind, which use high-pitched unpleasant sounds to deter dogs from barking. They do avoid the electric shocking and scent emissions of the other two kinds, but they are also very hard to customize, particularly if they emit noises in the range dogs might hear but humans can’t. Consulting your vet is a good idea in terms of selecting all three kinds of collars and customizing it.